My passion is partnering with people in support of their intrinsic and authentic wellness, assisting the flourishing of health, engaging the processes of Eden Energy Medicine with mindful presence. 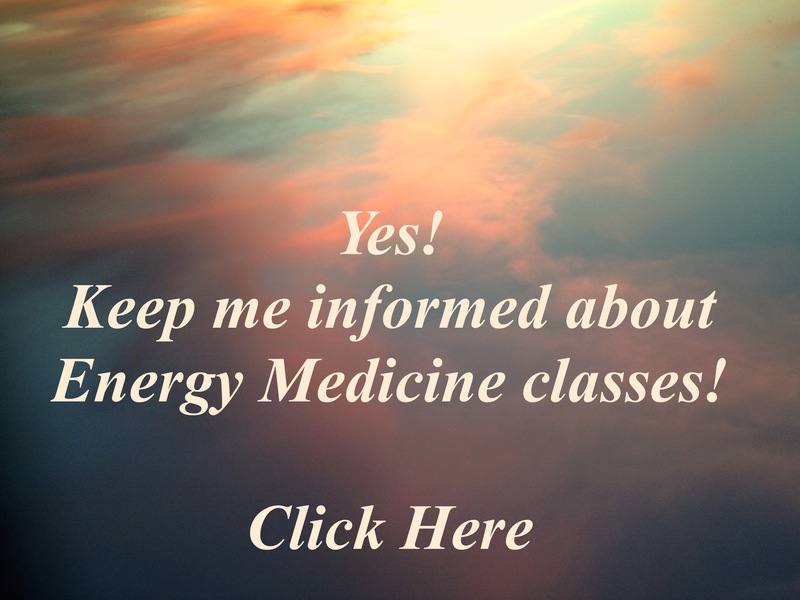 Lyn has studied Energy Medicine with Donna Eden since 2003. 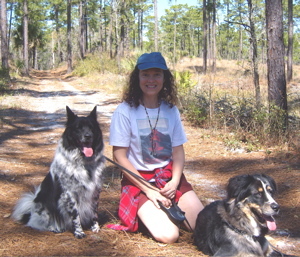 Lyn has served on staff for Eden Energy Medicine training programs from 2007 through 2017, including the Energy Medicine Foundations Programs taught by Dr. Melanie Smith in St. Petersburg, Florida, and by Julie Lappin, EEM-AP and Senior Faculty Member at Donna Eden's Practitioner Certification Programs. Lyn is on faculty at the Central Florida School of Massage Therapy, teaching Energy Therapy Modalities. Lyn is a state licensed and nationally certified massage therapist. She attained her license in massage therapy because of her love of Energy Medicine, and her practice is dedicated to Energy Medicine. Inviting your energies to return to balance, enabling the wisdom of your inner healer ... Lyn's work is dedicated to conscious partnering with your energies for increased wellness, emotional ease, mental clarity, inspired productivity, peak physical performance, and spiritual joy. Since I was about 20 years old I experienced recurring states of sadness and depression. Mine was a – smiling on the outside, collapsing into tears at home – kind of state. I had lots of good times too, but lurking close by was a terrible sense of inadequacy and self-rejection, and an overwhelming feeling of grief and inertia kept returning with varying degrees of intensity. I felt some relief with many different therapeutic approaches: classical homeopathy, nutritional/amino acid therapy, talk therapy, hypnosis and regression, flower essences, essential oils, and rebirthing/bioenergetics. I had a strong intention to NOT visit the kind of medical doctor who would suggest anti-depressant drugs. My studies in homeopathy, through Dynamis School for Advanced Homeopathic Studies, reinforced my belief that somehow, my heart and my body could come into a state of healing without pharmaceuticals. In 2003, I was feeling encouragement reading and listening to the work of Clarissa Pinkola Estes and Carolyn Myss. While browsing the used book section of our library, I found Energy Medicine by Donna Eden and David Feinstein, in hard cover, with a forward by Carolyn Myss, for $1.00. I thought, "anything endorsed by Carolyn Myss must be pretty good," so I bought it. My body energies responded with a full-sensory "Wow!" and I started doing the Daily Energy Routine with Homolateral Correction two or three times a day. I started feeling a little better right away. After a few weeks, I felt a lot better. After about six weeks, I had the experience of feeling truly fine and then suddenly becoming "unplugged." The lights and colors dimmed, and I felt sad, stuck, and inert. Little inner nudges suggested I just do the 3 Thumps and the Homolateral Correction again, which is a real struggle to even start when in this state. But after a few minutes of following through with these simple exercises, the light and color returned, and I felt like myself again. It was powerfully encouraging to have a new way to understand the language of my body's energies, and tools to engage with those energies, to bring about a return of balance. It wasn't that my outer life had changed, or that all the things that I thought made me unhappy suddenly transformed; I just got better in myself. I started taking classes with Donna and David, and continue to keep following my inner "Yes!" where it calls me to go. It is the best feeling in the world to be part of the field of transformation, a space where people reconnect with the vast multi-dimensional healing wisdom they carry within. I love it when people step into conscious communication and partnership with their subtle energies. I feel deeply honored to bring the hope and re-empowerment of this sacred work to those I'm privileged serve. Lyn has many, many loves in this world: her family and animal companions, the entire natural world of animals, plants, minerals and elements, mountains, forests and waters ... natural whole foods (cooking and eating! ), herbal medicine, organic gardening, hiking, creating visual art and various crafts ... singing, dancing and making music ... facilitating and participating in Women's Spiritual gatherings, and being privileged to participate in and contribute to our shared field of joy and transformation.